But the Barracuda doesn’t need your sympathy. It may have looked like an accident that had just happened… early on, too many accidents did happen… but the Barracuda hit the enemy like few other types. 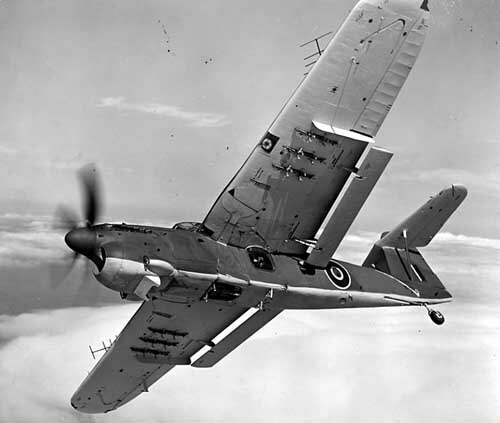 Historian Norman Polmar called the Barracuda ‘almost useless as an attack aircraft’. Yet this ‘almost useless’ aircraft sunk 40,000 tons of shipping in 10 months, crippled Germany’s most powerful battleship, and equipped 26 front-line squadrons over a 10-year career. The Albacore and Swordfish were obsolete as strike aircraft by 1943, so the Barracuda became available none too soon. 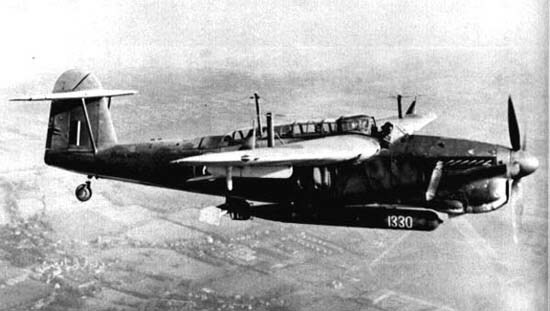 The Mediterranean war ended as the Barra arrived, but in Northern latitudes it was just the aircraft needed. Barracudas carried out devastating attacks on German convoys and put the Tirpitz out of the war for months by pinpoint dive bombing. In the Far East it was almost the right aircraft… asthmatic in the hot climate, it still achieved success against targets in the East Indies. It then served quietly, but well into the 1950s. The Barracuda deserves your respect. Thanks for running the piece Joe, and thanks for the comment Pieter. There are two pieces on the Yeovilton Barra restoration on NavalAirHistory.com and I’m working on a book on the old beast, which I hope will be published sometime next year. Would like to talk about the Barra book as an interview for an aviation podcast. Are you interested? 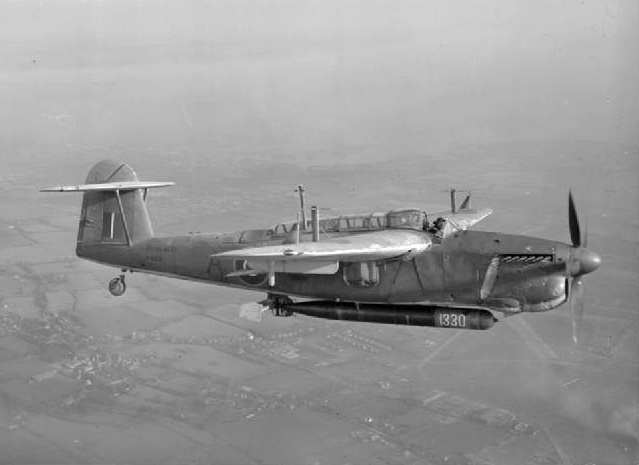 Why write a book about the Fairey Barracuda? 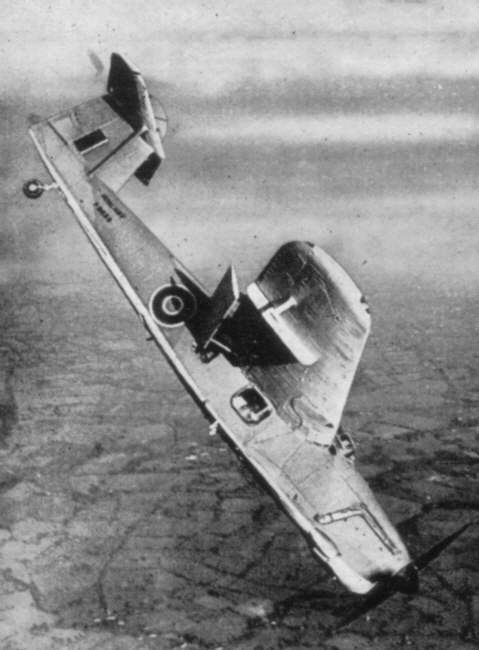 What was the aircraft designed to do and did it fit that role? Even though the Barracuda played such an influential role in the Fleet Air Arm why is it not really recognised? What remains of the aircraft in existence today? This would be a 7-8 minute interview which we do over Skype and goes into the Airplane Geeks podcast where my Dad’s story as a TAG originally aired. It received international recognition from our listeners and I recently followed this up with a four part mini series recorded with the RN Historic Flight. Again this proved popular with our listeners so I think the Barracuda segment could also be an interesting one. I have also tried connecting with someone in the FAA Museum to get a segment on the restoration project that are starting there, which would nicely supplement your interview here. If we do this we would probably record in mid/late December or January time to air in mid/late January as the pipleine is a bit busy before this. What do you think? Would you like to be involved?